Programming WS2812 RGB LEDs to produce various cool patterns. Iron Man has always been one of the most popular among heroes of Marvel, especially among Tech Geeks and has been one of the popular choices at comic cons when it comes to showing off coolness with a dash of technology. On the other hand, due to its difficulty in implementation and costs involved, not many enthusiasts are able to build their own costumes. And here we have a DIY to make it easy. 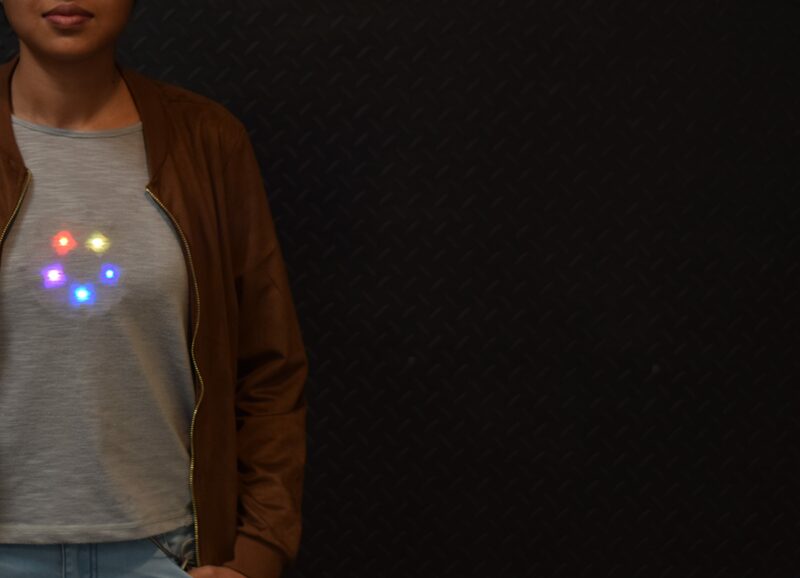 This super fun DIY project will help you replicate the famous Arc Reactor which powers this superhero, along with various cool customizable patterns of glowing LED. 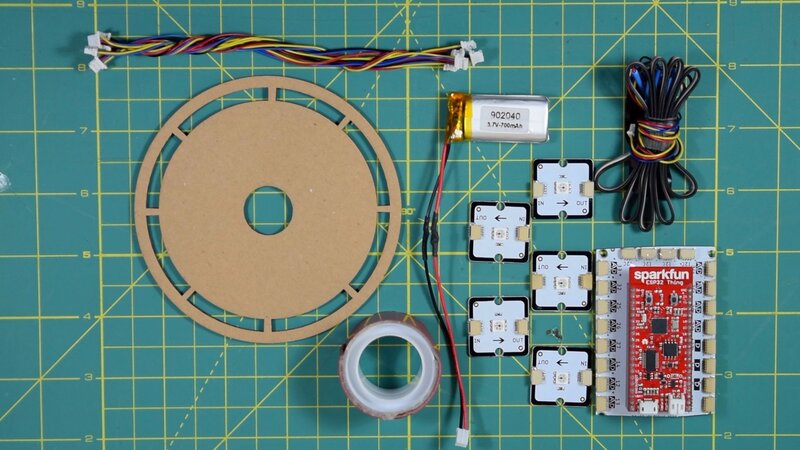 All you need is a circular cardboard cutting, some double-sided tape, Velcro, addressable RGB LEDs, the Medusa Head for Sparkfun ESP32 Thing and a LiPo battery to power the project. Additionally, you can use a switch (Medusa Push Button) for some cool custom applications. The first step is to choose an output pin. Let’s say 25 on Medusa Head. 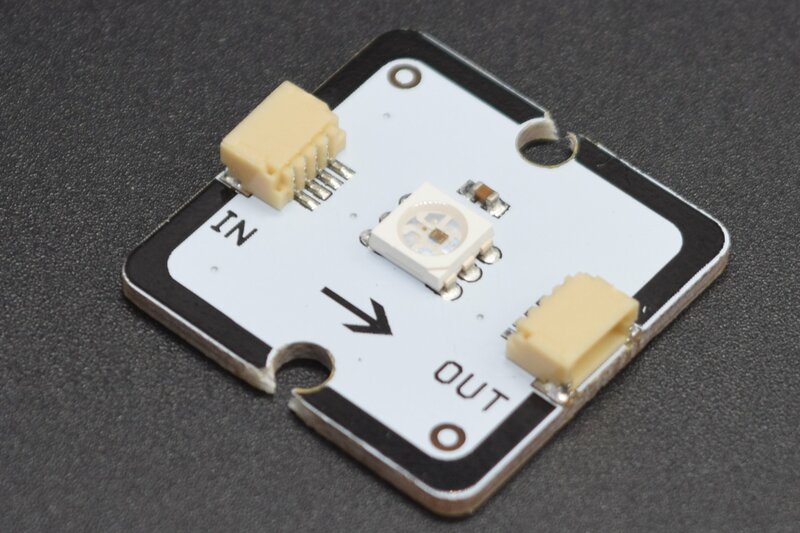 The LEDs are daisy chained, be sure to connect the output of one to the input of the next. 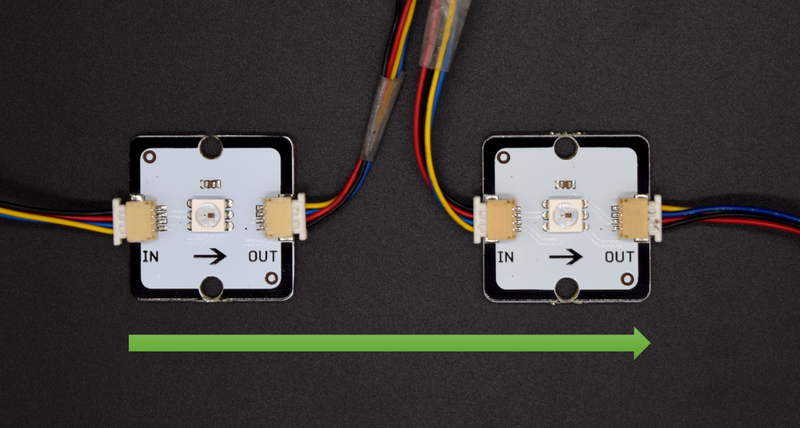 NOTE: During wiring, ensure that the OUT of the first LED goes to the IN of the next like as shown in the image below. We will use simple Aurdino Code to Programme the setup, which you can refer to at the end of this post. 1. 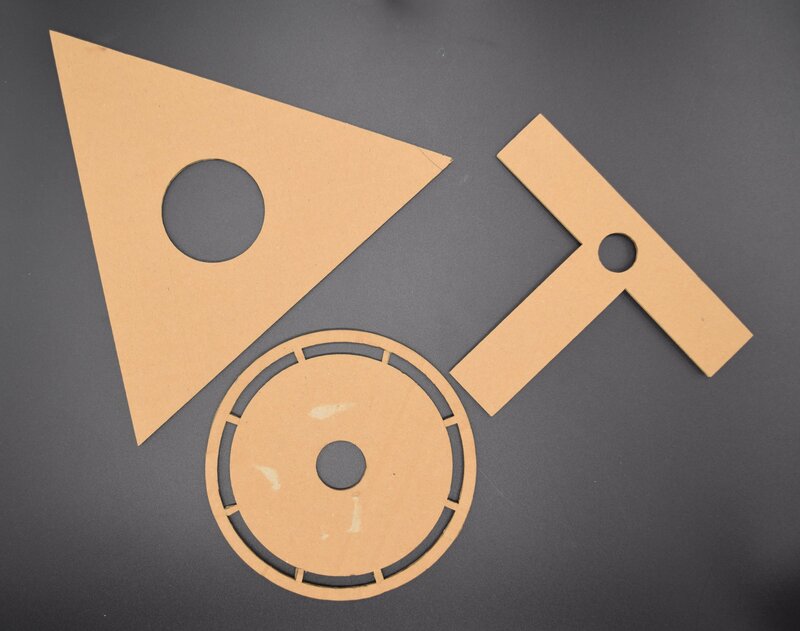 The first step is to make the cardboard cutout. Click here for the sample design of cardboard cutout, use a CD or go for a pattern of your choice. 2. Take some double-sided tape and fix the LEDs. 3. Next step is to connect the Medusa Addressable RGB LED together. 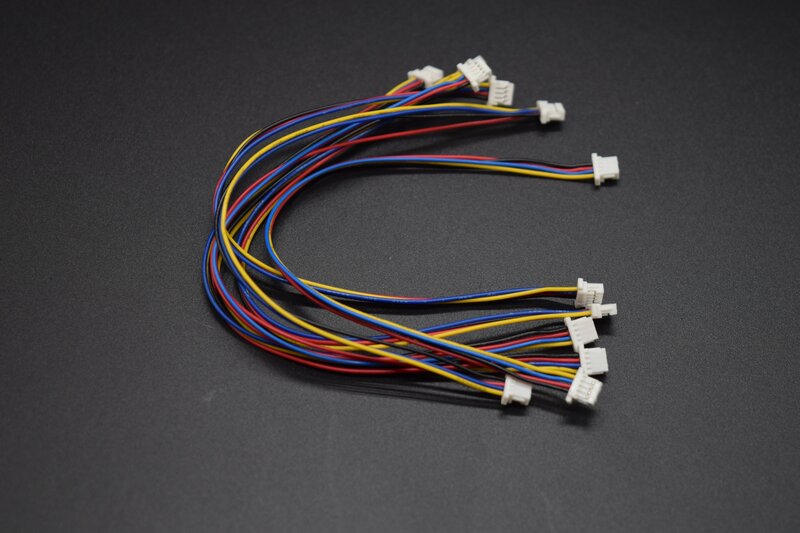 For this project, we are using 2 different Medusa Cables, the 15cm & the 1-meter variant. 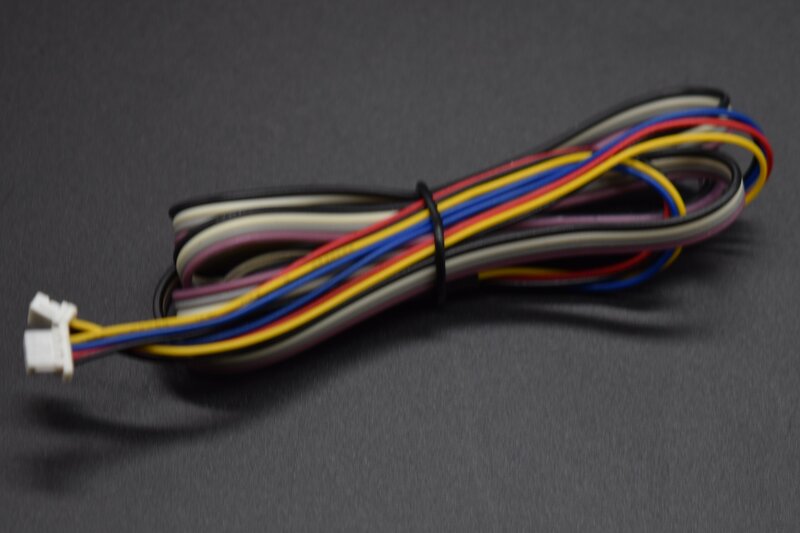 The 15cm variant is useful for daisy chaining the LED and the 1-meter variant to connect the first Medusa Addressable RGB LED to the Medusa Head for SparkFun ESP32 Thing. 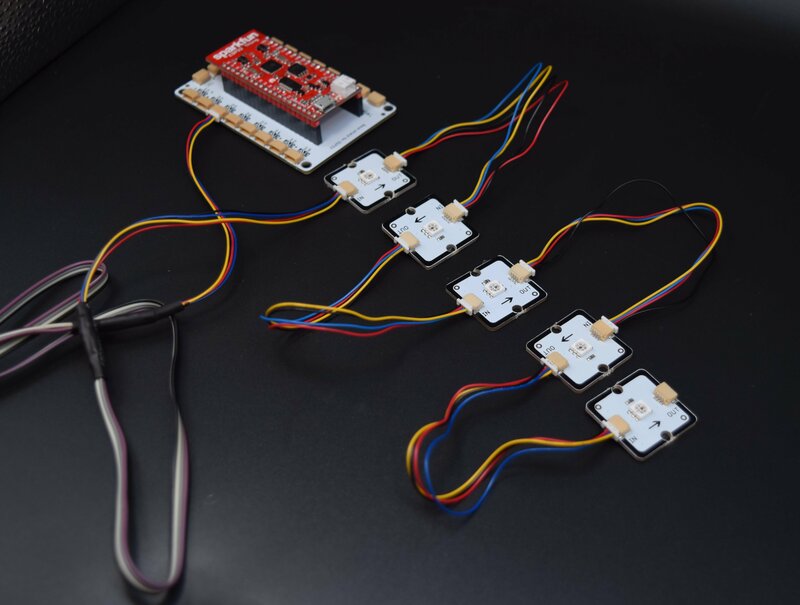 The Medusa Addressable RGB LED are allow you to daisy chain (connect one board to the next) multiple boards to create a string of RGB LEDs using just one pin of the microcontroller. 4. Using the Velcro/Double sided tape, fix the disk under your t-shirt. 5. 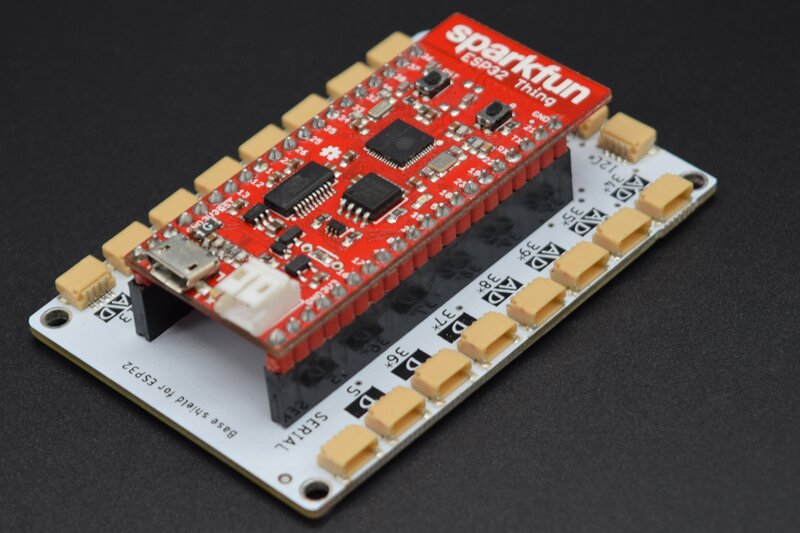 The SparkFun ESP32 comes with an onboard LiPo charger and booster which makes it easy to power the project using a single cell LiPo battery, the lower capacity ones can even fit between the Medusa Head and the SparkFun ESP32 Thing for a compact solution. 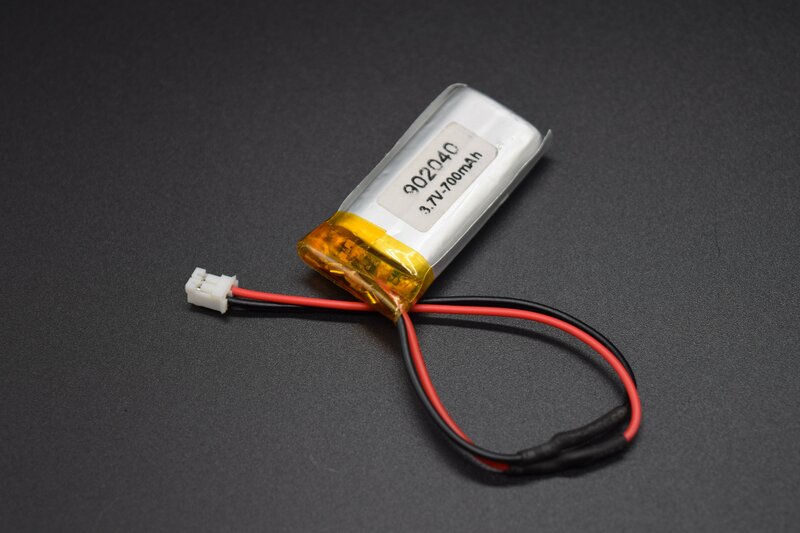 It can also be powered using a typical mobile phone power bank. And insert the medusa head into your pocket. SHOW OFF your IRON MAN ARC REACTOR!! !